Lake Bunyonyi Uganda, one of the country’s top natural treasures, ought to be considered one of the natural wonders of the world and ranked the most treasured travel destinations. Situated in southwestern Uganda near the Rwanda, Lake Bunyonyi is the second deepest lake in Africa after Lake Tanganyika in Tanzania. Lake Bunyonyi is enclosed with lavish green-terraced hills that range between 2,200-2,478m above sea level that creates a spectacular background. It is home to over 29 islands of various shapes and sizes that are evenly distributed across the lake giving it a magical look that is admired all the time. The weather of the lake changes right from morning till late. In the early morning, Lake Bunyonyi’s Islands are always covered with cotton candy-like mist and in the afternoon, they’re immersed with the warm glow of the sun. Later, they’re outlined against a dim sky as evening approaches. Sometimes the islands vanish from sight completely, hidden under a blanket of clouds, and later you see them emerge once as the sun brightens. Lake Bunyonyi, also known as the “Switzerland of Africa” by the locals, is a wonderful birding destination for bird lovers. “Bunyonyi” in the local language means “many small birds”. The main reason as to why this lake was given this name is because it’s a home to a very wide range of bird species. 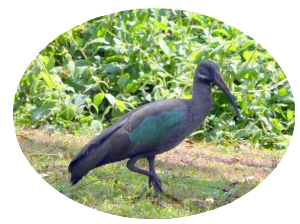 As you explore the historic lake dotted with little Islands on your Uganda safari or Uganda birding safari, expect to see several bird species since the lake habits over 200 bird species including flycatchers, sunbirds, Cardinal Woodpecker, weavers, White tailed blue monard, African Harrier Hawk, Pied kingfisher, Malachite kingfisher, grey crowned cranes, Herons, egrets, the cardinal woodpecker, the levillant cuckoo, slender-billed baglafetch, weavers, levillant cuckoo, Cinnamon-chested Bee eater, Bronzy sun bird, Pied wagtail, Grey shrike, Hadada ibis, Swamp fly catcher, Black heron, Great cormorant, Fan-tailed widow bird, Streaky seed eater, Speckled mouse bird, Pin tailed whyder, Bronze manikin, Black-headed weaver and Golden-backed weaver and many more. Comparing the different Uganda birding destinations, in the country, Lake Bunyonyi is the most convenient place for the travelers on birding safaris in Uganda since one gets to sit and relax on the lake shores as they view the bird species in the sky or after their Uganda birding safari tour. Travelers are usually taken for nature walks along the lake and also driven in dug out canoes or boats to the different islands along the lake because all can be accessed by boat. Some of the island on the lake include; -Akampene ,Bushara, Bwama and Njuyeera, Bacuranuka and many more. Some tourists enjoy transferring from one island to another on boat as they search for different bird species. As they sail on the waters of Bunyonyi, they get a chance of encountering some birds especially the water birds as they play and roam about the water surface. 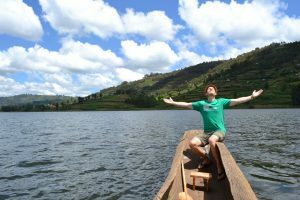 Apart from viewing these rare bird species, there are other tourists activities in Lake Bunyonyi that tourists can do including, boat rides, swimming, spot fishing, cultural and nature walks around the lake.